"The first time I played on your piano with the new [FVA] action, I found it an amazing experience - it was difficult to believe I was not playing on a grand piano. I could see that I was sitting in front of an upright instrument, but the sensitivity to the touch and its capability of giving many degrees of shading and tone coloring were astonishing. 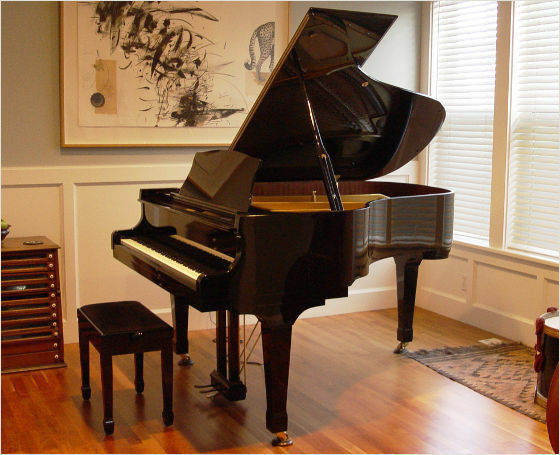 Even grand pianos, unless they are the finest, do not respond with the gradations of tone that this upright can give. Recalling the poor pianos often found in practice rooms throughout many music schools and colleges, I cannot help thinking what a boon this piano would be to many aspiring young musicians. In homes also, this piano will greatly help student pianists to develop sensitivity to tone and touch. If a student has a good piano which responds to the various types of touch, gives different tone colors, and lets him know when he has gotten the touch right, he is going to develop greater control and skill in less time. I feel this invention will prove a blessing to all students and their teachers."